Adult life brings us new challenges and one of the is “changes vs habits”, I guess in a human mind there is always a battle between these two elements due to there is a natural tendency to the well-known “comfort zone”. Nice moment of reflection and now back to what it matters to us to put into perspective some elements of circular economy and change management process in order to obtain the expected good results. Organisational transformation is a complex process that requires preparation as shown in a changing management process. Here besides there is a change method on 5 steps. All steps are mandatory in order to achieve the goal of transforming old habits into a new way of thinking. 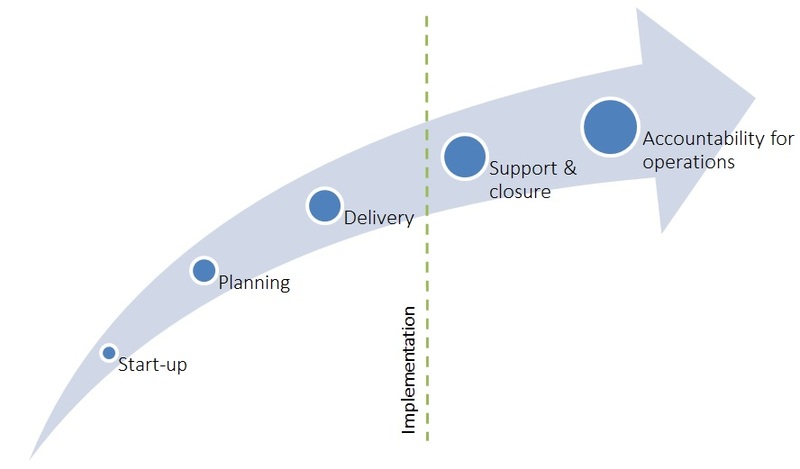 Depending on the complexity of the change, more time will be required on early stages start-up and planning in order to be prepared for questioning and reluctance that the project can face during delivery stage. Reconversion project towards circular economy of a traditional company is a e enormous challenge for human resources because it implies a new way of doing business. As in any changing process recipe vision, good attitude and follow up would come out in smelly and attractive results. As a project leader, you understand well needs and reasons for the change but your team may ignore motivation for the company to head to new horizons and there is where planning becomes critical in organisation structure in order to put all team players in the same page. Preparing an innovative coaching program may be necessary to overcome the biggest obstacle for the process “fear to unknown” that includes formulating a vision, mobilizing all actors and motivating the keys ones to lead small groups and once the knowledge is transmitted, supporting teams is essential to reinforce mentality changes and maintaining new habits in the organisation. According to a 5 steps of circular economy implementation by Remi Le Moigne, the important stages are : developing new business models, creating partnerships, originate new circular products, conceive a reverse supply chain and manage performance. Those steps can follow change management procedure above explain as shown in the diagram displayed on the right. Circular economy is a process that requires competent leaders with a clear vision of this new model and quite sometime to change corporate atmosphere to advance rapidly to a new business age before competitors take over. Magnificent change that creates a consciousness of shortage in natural resources while making business more thriving and sustainable. 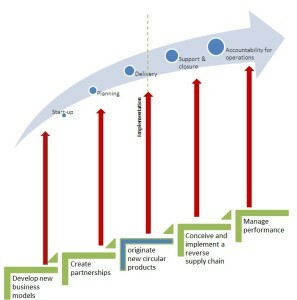 All the stages to implement circular economy model will be exposed in more detail on following blogs. For more information about circular economy or if any waste problem, do not hesitate to contact us.